Ricardo Ainslie, M.K. 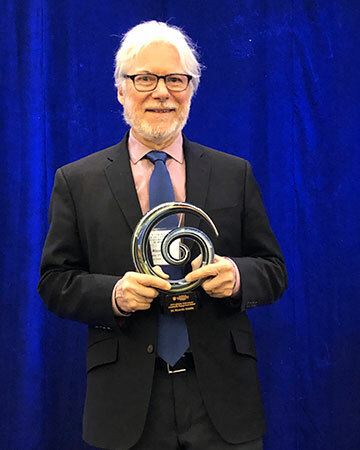 Hage Centennial Professor in Education, has been recognized by the National Multicultural Conference and Summit with the inaugural Lifetime Achievement Award for Community Engagement. This award celebrates those who have made a lifetime commitment to community engagement over the length of their career as it relates to their expertise and commitments to social justice and multicultural psychology. Ainslie spent more than 25 years working in communities in Texas and Mexico that are experiencing high levels of violence and/or ethnic and racial conflict. His work involved an effort to understand the impact of these stressors on communities and their resilience. In many of these communities, Ainslie also helped to fashion interventions and collaborate with residents of these communities.